Launch of 5G field trials follows statement of intent earlier this year, with demos now live in central London. The establishment of a UK 5G network has moved a step closer than to a new announcement from Arqiva. 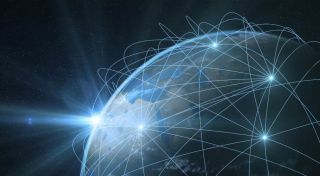 The telecoms infrastructure firm has revealed today that it has launched its first field trial of 5G connectivity in the UK, marking an important step forward in the development of the new networks. Arqiva has partnered with Samsung for the launch of a four-month trial of 5G Fixed Wireless Access (FWA) technology in central London at the company's Fitzrovia headquarters. The trial looks to demonstrate the stability of the FWA service, which is hoped could offer a fast-to-market and cost-effective alternative to fibre for connectivity to homes and businesses. The system brings together Samsung's 5G network solution and customer premises equipment (CPE) with Arqiva’s 28GHz millimetre wave (mmWave) spectrum. This, it is hoped, will establish a two-way mmWave link enabling download speeds of around 1GB per second. Arqiva, which first announced its intent to launch such a network back in February, notes that the 5G network could be particularly useful for media companies, allowing for simultaneous streaming of more than 25 UHD 4K TV channels. "This trial is the first of its kind in Europe, let alone the UK – and we are hugely excited about the high data rates, low latency and growth potential we’re going to be able to demonstrate," said Arqiva CEO Simon Beresford-Wylie. "Though only a proof of concept at this stage, we are confident that this trial with Samsung will showcase not only 5G FWA’s potential for delivering ultrafast broadband but also the value of the 28GHz band in helping achieve this."